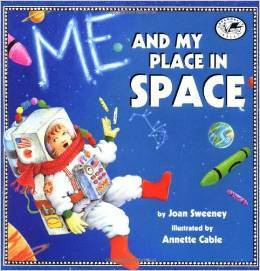 Looking for books to read alongside your preschool or kindergarten space theme? Check out our list! Did you know I’ve begun creating themed book lists for preschool and kindergarten? I asked my subscribers for early childhood themes, and they responded! A few weeks ago I shared a transportation book list. 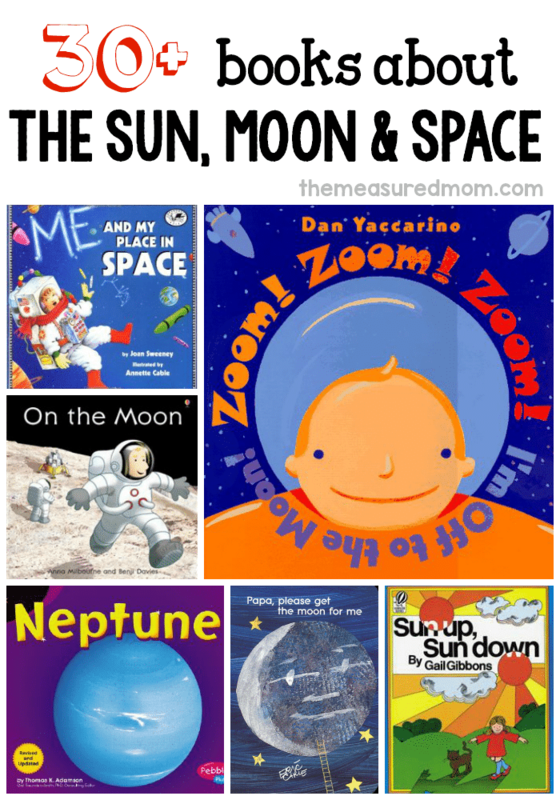 This week I’m sharing books about the sun, moon, and space. 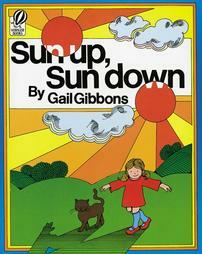 In this book by the renowned children’s author Gail Gibbons, a girl explains concepts about the sun in a simple, appealing way. From understanding shadows to what makes a rainbow, it kept my boys’ attention the whole way through. I learned a few things too! If you get only one book about the sun, make it this one. 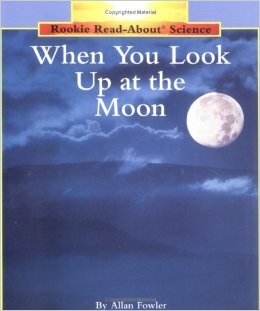 I’m a big fan of the Rookie Read About Science series, and I’m rarely disappointed with one of Fowler’s books. The books have a ton of pictures with just a sentence or two on the opposite page. 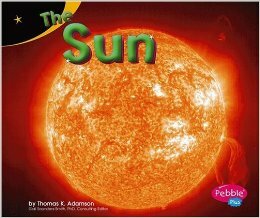 This book teaches preschoolers basic concepts about the sun and also shares a simple demonstration to help kids understand why we can’t see the sun at night. Recommended! 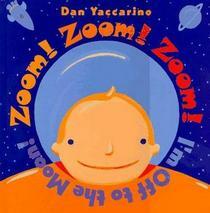 This book is perfect for young listeners who aren’t ready for a longer nonfiction book. A lovely first astronomy book. 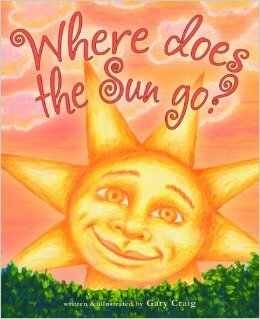 This is another simple book to help kids understand where the sun goes at night. I’ll admit that the sun’s face was a little creepy for me, but my it didn’t bother my Three. 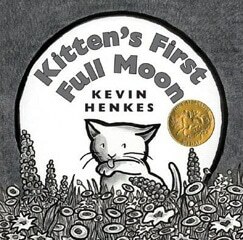 This book is the story of a fiesty little kitten who sees a bowl of milk in the sky and does everything she can to get it. 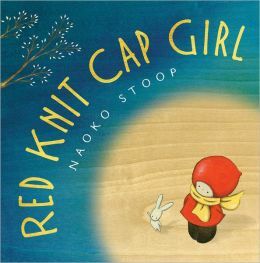 The superb black and white illustrations won this book a Caldecott (best pictures) medal. A favorite at our house! 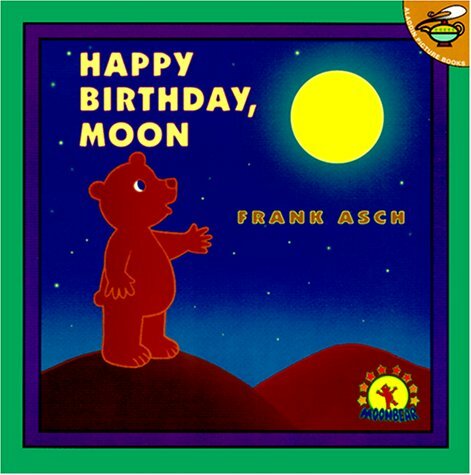 Bear wants to taste the moon, so he builds his own rocket. As he starts to blast off, he falls asleep. When he wakes, it’s the middle of winter; having never been awake during winter, Bear thinks he’s on the moon. He scoops up some snow and makes a little mooncake. It’s delicious! A fun story and a favorite of my Four. Here’s another fun book about Bear. In this one, he wants to get the moon a birthday present. 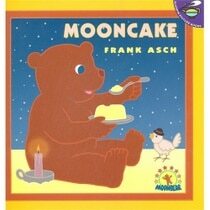 Through a series of conversations (really just his echo coming back), he learns that the moon wants a hat. A sweet, gentle story. 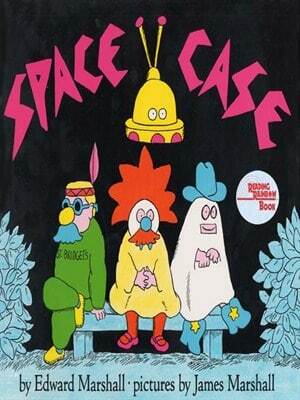 This original story was one of my favorites because I loved the unique illustrations and clever rhymes. My boys liked it too. Worth finding! This is a pretty lengthy piece of nonfiction for preschoolers, but Branley has a gift for writing nonfiction in a way that keeps your attention. We learned about the moon’s surface, moon landings, the moon’s temperature, gravity, and much more. 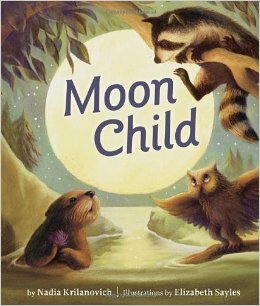 It kept my boys engaged the whole way through, and at the end my just-turned-Three pronounced, “That was a good book!” You might also like The Moon Seems to Change, by the same author. We really liked the illustrations in this book -a combination of cartoons and real life photos. This book itself is highly engaging and gives just the right amount of nonfiction without overwhelming your preschooler. 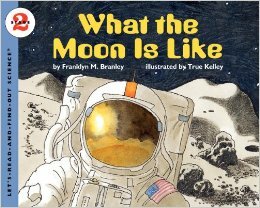 It’s a great alternative to Branley’s book (above) if your child isn’t ready for that yet. 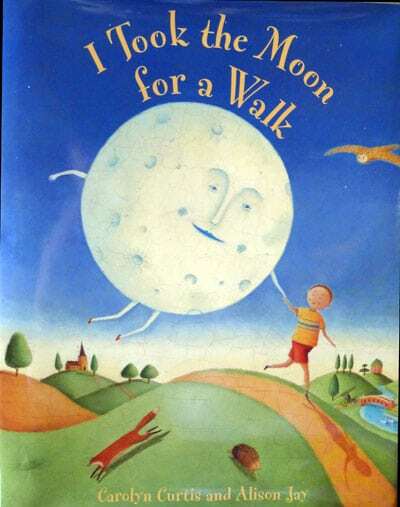 When a little girl wants the moon, her father is determined to get it for her. 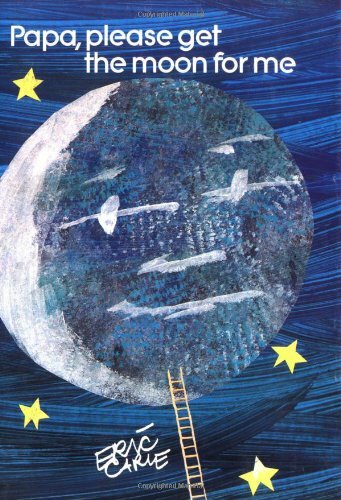 He gets a very long ladder and puts it against a tall mountain, but the moon is too big! The moon tells Papa that it will get smaller every night. When it’s just the right size, Papa will be able to get it. Sure enough, the moon shrinks until it’s about a foot long, and Papa brings it home. I’ll be honest – I wasn’t crazy about this book because I felt it would be confusing for kids. The moon doesn’t actually get smaller, even though we sometimes speak that way. I would have returned it right back to the library, but my boys loved it (of course!). 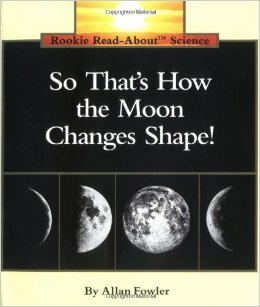 This is a good follow up book to help your kids understand that the moon’s shape really doesn’t change; it just appears to. The subject matter is a bit harder to grasp than in some of the other Rookie Read-About Science books, but give it a try. Your preschooler might surprise you. Fowler does it again with another simple, accessible piece of nonfiction for preschoolers. This was one of my faves! I’m struggling for the word to explain why this wasn’t my favorite. The book was too… magical? Whimsical? I don’t know. It’s actually a sweet story about a girl who lives in an enchanted forest. She wants to talk to the moon, but the moon is just too far away. Finally the girl and her forest friends find a way to connect with the moon. I’m including this one this because my boys really enjoyed it. 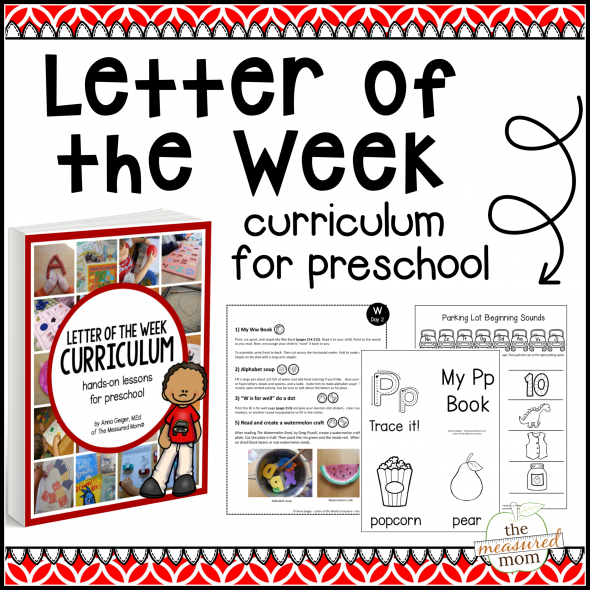 Your preschooler probably will too. This is a gentle story that would be perfect for bedtime or the end of a school day. It’s evening, and little animals play with the moon until it’s time to snuggle to sleep. Yup, it’s another Pebble Plus book (they have one for everything!). 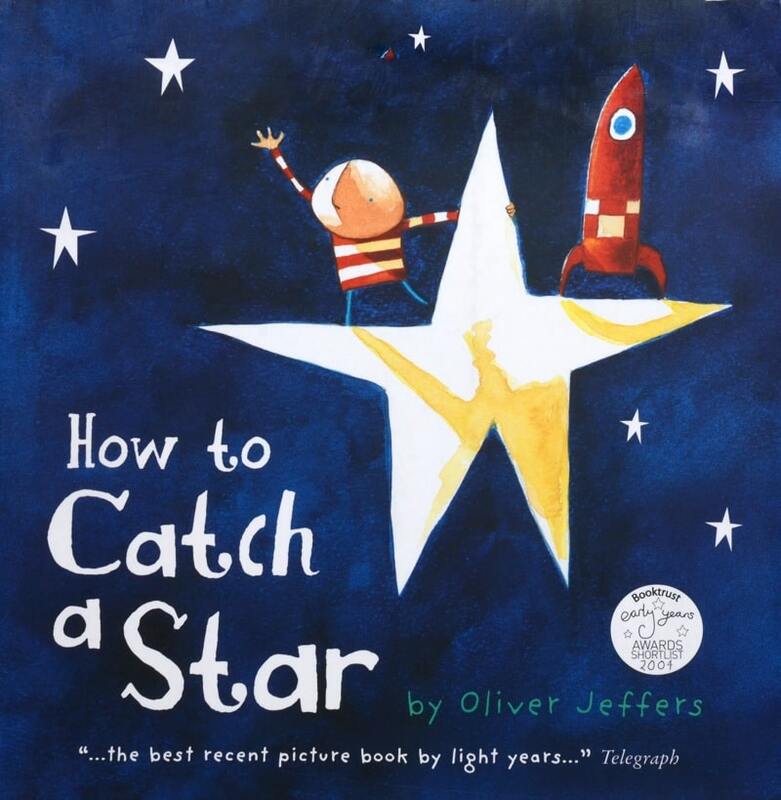 A very simple, easy-to-follow book about stars for preschoolers. 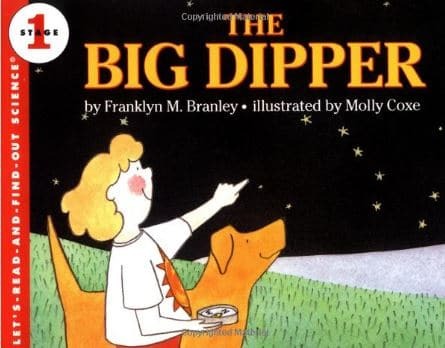 The Big Dipper, by Franklyn Branley. 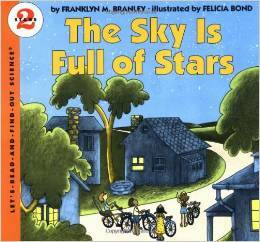 This was my favorite book about stars because of its conversational style. That’s hard to find in nonfiction! My boys and I learned quite a bit about the Big Dipper. I admit I’ve never been into constellations, but this book had me engaged. Franklyn Branley never disappoints. Pebble Plus has an Exploring the Galaxy series with a book for each planet. 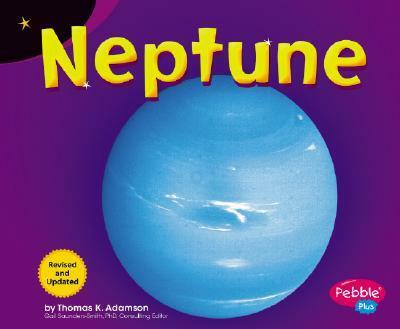 These are your best bet for individual books about the planets that preschoolers will understand and appreciate. I also like that these books have the current classification for Pluto, which scientists are now calling a dwarf planet. You won’t find that in every set of books, depending on their publication date. Also check out Venus, Mercury, Saturn, and books for the rest of the planets. A little boy loves stars so much he wants one for his very own. But how will he catch one? We loved the childlike illustrations and the story of a very persistent little boy. The ending is a little confusing, though, when the boy finds a star on the seashore. Is it a starfish? A real star? Huh? The ending had us stumped, but the book was a favorite of my Four. My favorite thing about this book is that Branley has teamed up with Felicia Bond, the illustrator of the If You Give a Mouse a Cookie series. 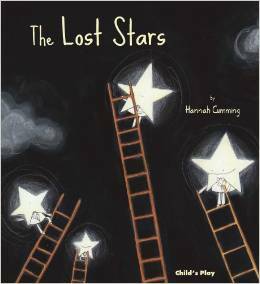 We enjoyed learning about constellations with this fun book. When people become too busy to look up at the stars, the stars get fed up and take a vacation. One day, when the lights go out, the people of the city are alarmed to discover that there are no longer lights in the sky. A small group goes on a quest to find them. This book is a gem! If you’re looking for just one fiction book about the stars, let it be this one. Anne Rockwell is another one of those nonfiction authors to watch for. 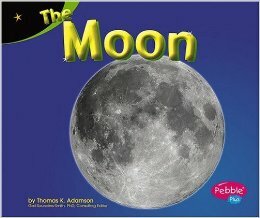 Through simple text and fun pictures of cats in space, kids learn all about satellites, probes, lunar modules, and more. This was helpful for me, too! 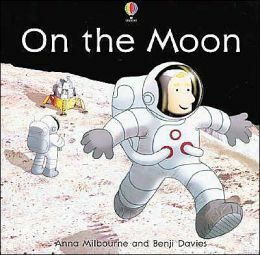 What I love most about this book is that it was written by a real astronaut. 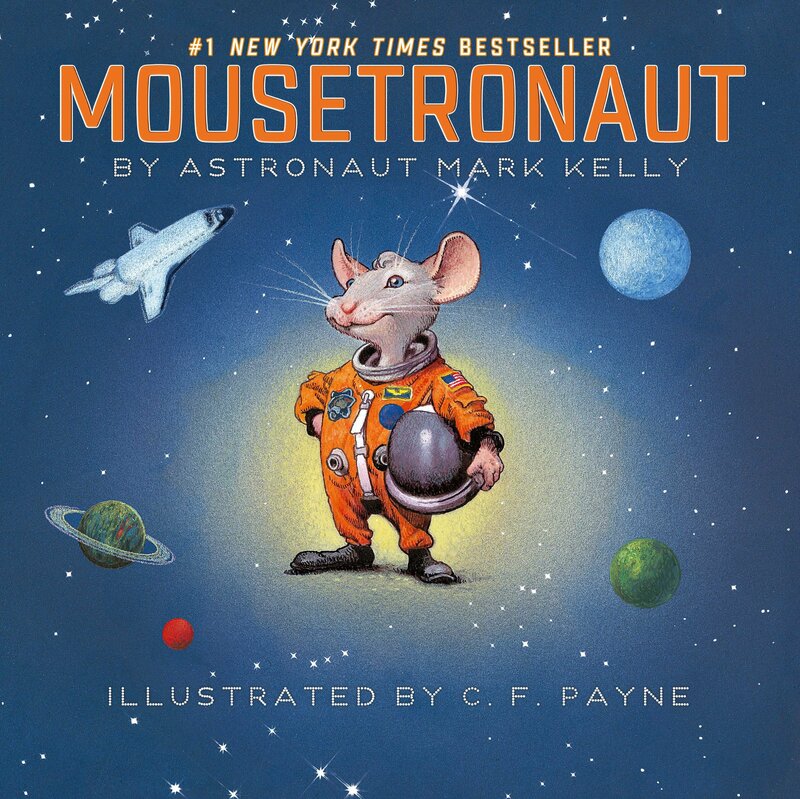 We love the story of fiesty little Meteor, the only mouse on the space mission who wasn’t afraid – and who saved the mission by rescuing a key which had slipped into a crack. 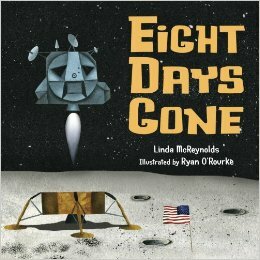 While the book is mostly fictional, it’s based on the fact that eighteen mice went along on a 2001 space flight. I’ll be honest – this book felt long to me, and the rhymes got old. To say that aloud makes me feel like a snob, because Mayo’s books are really very good. 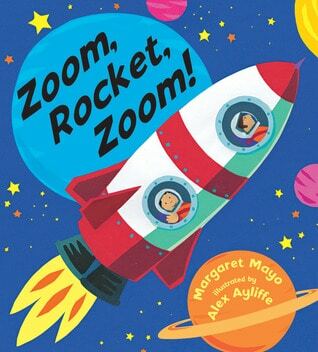 The rhymes are clever, and a lot of great information is packed into this book. Maybe I’ve just been reading too many books about space! Be sure to check it out despite my review! 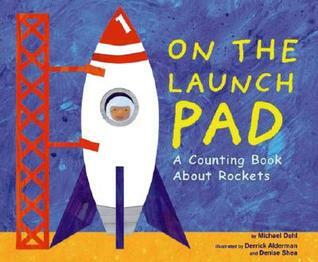 A simple book that counts down from 10 to 1 until the rocket blasts off. Nothing spectacular, but a nice little counting book to add to this list. 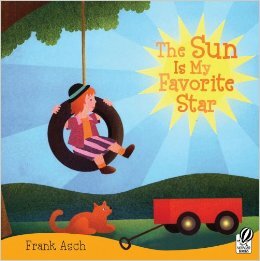 This is a fun rhyming book for preschoolers – bright, colorful, and imaginative. Recommended! 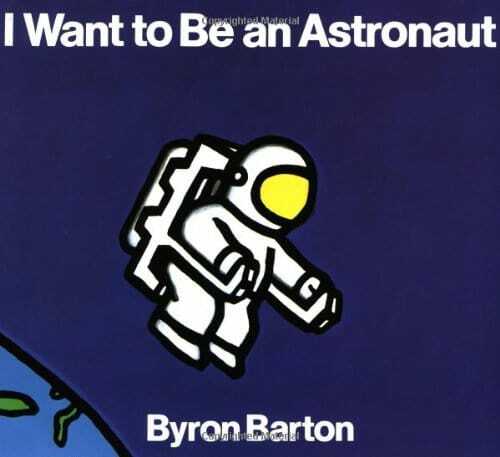 For some reason, my kids weren’t crazy about this one, but I love Barton’s simple nonfiction for children. This book is the perfect introduction to space travel. “Launchpad countdown. Smoke and flame. Rumbling. Blasting. Seizing fame.” The short, terse rhymes got a little old for me, but they’re well done and move the story along. About half way through we learned that this was the story of the first moon landing. A lot of the vocabulary will probably go over your preschooler’s head, but hearing those big words enough times is what makes them stick. 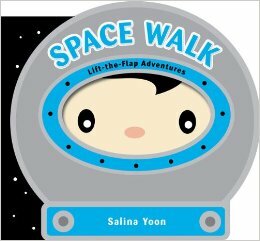 While I prefer the author’s book Me on the Map, this is still a nice, playful introduction to the planets (although it does include Pluto). I could do without the ending (which speculates about life on other planets), but the book itself has some useful facts and illustrations. I hesitate to include this book because it’s so goofy that it doesn’t quite fit this list, but all my big kids (ages 3, 4, 6, and 7) couldn’t get enough of it. (In fact as I’m writing this, my Four just requested that I not return it to the library quite yet!) A “thing from outer space” happens to land on Halloween. The thing is thoroughly confused until a boy named Buddy takes him home, where the thing learns more about life on earth and at school. I hate to call this book a classic, since it was published in 1980 (during my lifetime), but I think it fits! If your kids like the George and Martha books, they’ll love this one too. Have you seen some of our other book lists? This is great! 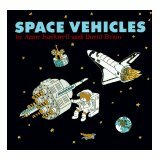 We are working on space right now so this came at a great time for me to add some interesting stories with our nonfiction texts. 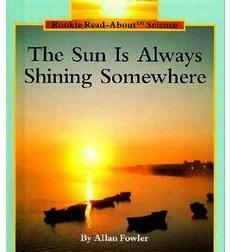 We love the Allan Fowler books too! Thank you for this list of books. Do you happen to have a list for natural disaters? I have a student who is enjoying learning about floods, volcanoes, tornadoes, etc. I am having trouble finding books for him, He is in first grade. I don’t currently have a list for kids to read on their own about natural disasters… although I am working on a read aloud book list about storms.